Increase vehicle excise taxes from 3 percent to 4.625 percent. 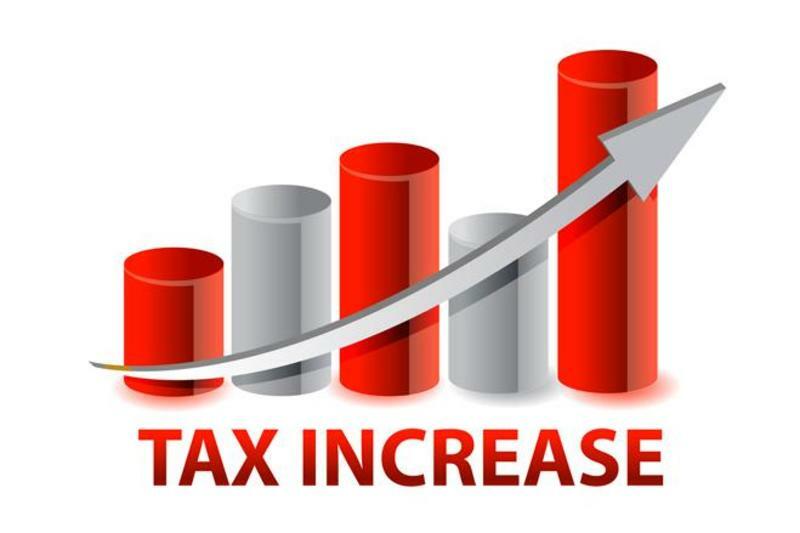 The State gross receipts tax rate would be reduced by 0.5 percentage points to that aforementioned rate of 4.625 percent. All of these tax hikes are bad and will hit average New Mexicans in their pockets, but with the average vehicle purchase price New Mexicans will be paying an additional $585 on average for every new vehicle purchase. While there has not been an analysis from the Legislative staff, it is clear that HB 6 amounts to a significant tax hike on most New Mexicans. We want to see tax reform. We want the job-killing gross receipts tax rate reduced, but not at the expense of higher taxes overall or more progressive income taxes. UPDATE: According to the Albuquerque Journal, HB 6, if adopted, would increase taxes by $333 million in its first year. I agree with you 100%. This is not the time for higher taxes. We need tax reform for the gross receipts tax, not more taxes when the State is sitting on a $1 billion surplus. What would you expect from tax & spend Socialist Dems? And to state the obvious, these requested tax increases come when the state has a budget surplus of over one BILLION dollars. Sadly, NM history is repeating itself: About once every 8 to 12 years, the voters of NM elect a Republican governor to veto spending bills from the Democrat controlled state legislature and return the state to financial solvency. That time has passed. The Socialists are in charge. It will only get worse. Not only for taxes but for individual rights such as gun rights and free speech. Just a reminder: I do believe that surplus will not be around very long after the governor rewards her education friends. I was neither surprised nor shocked by the recent New Mexico and national elections. Rather, I was appalled. A former democrat house rep from Las Cruces said NM needs to be a one-party state. Another local said, when Pearce announced for Gov, that we need to elect a demo to replace him; no one had yet announced for the seat. So, of the 90 years from 1931 to 2020 (based on 2018 election results), who rules New Mexico? Years (Ds) held both legislative bodies- 78, or 86.7%. So here’s to those encouraging a one-party state; that’s what you’ve given us. And to those who wonder how New Mexico ends up at the top or bottom of the wrong lists. For decades. Now you can see why; a sorry indictment of those holding all the power. Thank you ever so much. Apparently, every so often, a Republican is elected Governor to straighten out the budget. That’s about it. The democrat party should be ashamed of its record.